In the previous article on home improvements, we covered determining completion needs, understanding upgrades to bring a house up to code versus “needs within needs” of upgrades, and utilizing materials purchased previously. Since I’m not an expert handyman, I chose to bring on a general contractor for the project updates for a variety of reasons that include my limited resource of time and my limited skill set. To finish out additional components, we need to discuss the human resource portion of home upgrades. Employing yourself as part of the labor source and by making the right networking connections, you may be able to further reduce your home update project costs. You can help reduce your home renovation costs by starting up and closing down the project yourself. In other words, if you prep the project area and do the post-project clean-up yourself, you’ll be saving on labor costs the general contractor will include in the project quote. In most cases, the prep work & clean-up work is labor related, with little or no supply costs. Here again, you’ll need to consider your time element on the project. For example, some contractors charge to move appliances and heavy equipment in order to perform the services needed for the upgrade – this is a service a contractor provides, and therefore, can charge labor costs. If you have the ability and capability to move, or remove, appliances and heavy equipment from the project area, you can reduce service charges on the renovations quote. What is more important to you in this case, your time or your money? Once you make that determination, you’ll be able to refine the project quote to include or not include prep & clean-up duties. Another pertinent piece of the home renovations puzzle is networking. You need to ask yourself – and others – who you know that can complete the work needed. Do you know any general contractors? 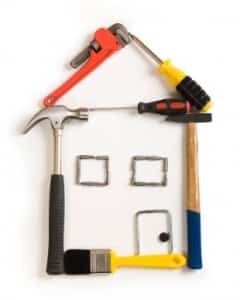 Do you know anyone who has recently had home renovations work done? Asking these questions is a starting point for finding a general contractor you trust, who may consider costs in their quote by proxy of either friendship or referral. Keep in mind, when it comes to doing business in any situation, and especially with friends, it is still important to have an agreed-upon project outline with clear objectives listed in the quote, so both parties understand the work to be completed. My home renovations are just about complete. In doing so, I determined the speed of project turnaround necessary, evaluated the ongoing “needs within needs” of the project as they arose, did some of the prep work (as clean-up was included in the quote), and hired a qualified general contractor (who also happens to be a friend) to do the project work. This worked for me for the scope of the home updates I wanted to complete to prepare my house to be rented, but can be customized to any home renovation project. You will have your own decision tree to work through. In any case, although hiring a general contractor can be a challenge, you can still build savings into your home improvements.